It is a ground floor duplex that has a total of approximately 73 m2 and consists of a bathroom, a living room with fully equipped kitchenette and direct access to a large terrace that communicates directly with the community area. On the upper floor we find the 2 bedrooms. 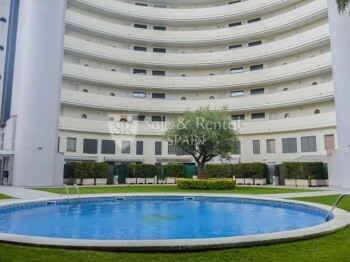 This apartment has very good finishes, marble floors, heating and air conditioning in all the rooms. Located in a very nice community with swimming pool a few meters from the beach, close to tennis and paddle club and the public transport. In addition, there is the option of purchasing a parking space in the same building. Ready to move in, do not hesitate and come to visit it!